eQSL.cc Electronic QSL Card Centre: We are running on the new server farm! We are running on the new server farm! Please do not report any errors for the next few hours. Our volunteers who answer support email will have no idea how to respond, and I will be working diligently to track down all errors. Your logger that does Real-Time uploads of ADIF logs will probably FAIL. This is because the eQSL.cc domain name will take up to 3 days to propagate all around the world. There is simply nothing that can be done, except to wait a day and try again until it works. 0200 UTC June 17 (which is 9pm Central Time Wednesday the 16th), I will take down the current eQSL.cc system and start the final backups, moving the last programs, files, and database records over to the new servers. Both the new and the old servers will have to be down while the last data is being restored from the old servers onto the new ones. During those few hours, any accesses to eQSL.cc, eQSL.net, or the QSLVia domains will either fail, get a warning notice. As soon as the new servers are running, you will be automatically redirected to QSLCard.com which is the first domain name that will "come alive" on the new servers. After the new servers are up and running, it will take up to 3 days for the eQSL.cc domain name to be properly redirected, and users in various parts of the world may see error messages occasionally during those 3 days. Continue to watch this page from now on, as I will post frequent status updates during the transition tonight. Since I will be drinking a lot of coffee, they could be quite humorous. Just logged in the website qslcard.com. It is flying! Wow the speed! This blog is starting out as a way to keep you informed as to the status of the migration to a new server farm at eQSL.cc. Ultimately, this will be a good place to post any changes to the status of the eQSL.cc system, for instance in case of an outage, since it is independent of the functioning of the eQSL servers. 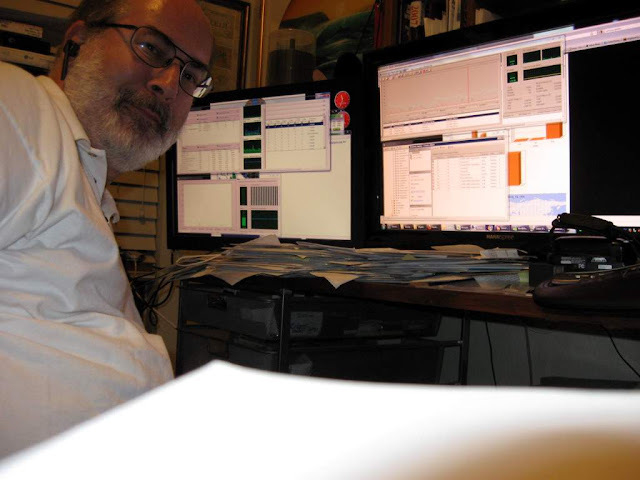 The webmaster, Dave Morris, N5UP, has been a licensed amateur radio operator since 1971, and has been a pioneer in the computer industry since 1975.